Since T-Mobile offers this model, and the two carriers now are intertwined thanks to T-Mobile’s purchase of them, it might not be surprising to see this handset branded with the MetroPCS name. It didn’t surprise us. 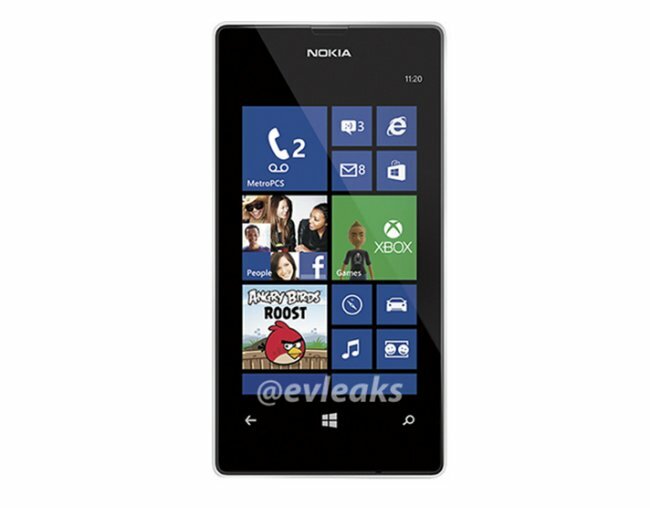 The Nokia Lumia 521 is the T-Mobile version of the Nokia Lumia 520 and is basically the same phone. The Lumia 520 model is basically the “King” of WP phones and is even the most searched-for Windows Phone model. In the U.S. the Nokia Lumia 521 has sold out on HSN, at Walmart and at T-Mobile. No surprises there either. Just yesterday HSN offered the phone for $99.95 with new customers getting an additional $20 off. However, that special price has ended already.